Game Update 64 “Qeynos Rises” has arrived on Test and Test Copy and the Notes for this update have been posted on the EQ2 forums. GU64 is expected to hang around on Test for about a month before going to the Live servers. Among a number of other changes, GU64 sees Qeynos rebuilt as two zones. North and South Qeynos become the Capital District, Elddar Grove and Qeynos Harbor become the Provinces. Changes to Battlegrounds, PvP, and Fighters are all headlines, with the curious change that Plane of War has been opened to all. With GU64 we are working hard to improve our PVP experience. Our goal is to make our PVP more accessible, more rewarding, and ultimately more fun! 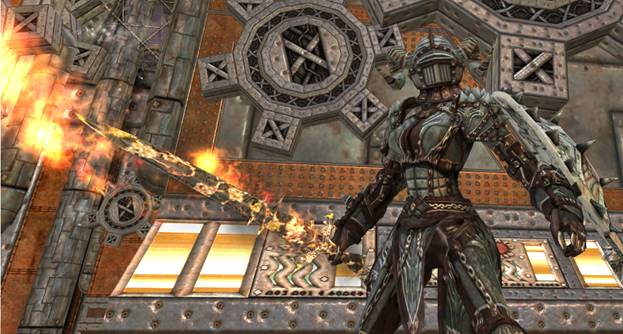 Changes are coming to PVP and fighters class for EverQuest II. Host Dave “Smokejumper” Georgeson (Executive Director of Development) is going to discuss the upcoming changes with Akil “Lyndro” Hooper (Lead Designer), Mike “Xelgad” Ganz (Associate Game Designer), and Brian “Zuglash” Ferguson (Associate Game Designer). They have lots of details to share about PVP, fighters and more. EverQuest II fans do not want to miss this webcast. Join us on Thursday, June 21, 2012, at 4:00 p.m. US Pacific Time* on Twitch TV! The webcast is expected to last about 20 minutes. For PVP fans and fighters this is a must see webcast! Le sigh… Like all SOE Webcasts, it’s 4pm Pacific, 7pm Eastern, midnight in Western Europe, and 1:00am in Copenhagen. Dungeon Maker “Play as a Character” has arrived on Test for the second time, but with a totally new Level Agnostic mechanic that turns the concept of Mentoring on its ear, by interactively adjusting the damage and heals of grouped characters in real time. The claim is, that a level 30 and level 92 will be able to group together, heal, buff, and do DPS effectively. And careful reading of the June Update indicates that Battlegrounds will soon inherit the same Level Agnostic mechanic, so proper testing of this functionality on Test is a good idea. We just added playing as your character in Dungeon Maker, but it is with a twist! Dungeon Maker dungeons are now “Level Agnostic” as in your level doesn’t matter much when in there. Players who are any level can group with players of any other level and fight side by side against the same monsters! Another month has zipped by already! We wanted to wait until after E3 to share a few more details about what we’re up to and what’s coming up this month. By now you may have heard about the SOE corporate initiative called SOEmote(tm) that will launch in EQII later this month. SOEmote uses a webcam and microphone to project your facial expressions, including talking and voice, onto your character in real time! It’s used in groups and also allows you to broadcast to your guild, almost like a webcast. We’re all excited to see this launch and how you use it. If you want to share your shananigans, the YouTube recording option is now in the EQII Share window. The Destiny of Velious saga continues as adventurers breach the barriers of the Withered Lands seeking entrance to Skyshrine, the glorious ancient dragon city! The great citadel of Skyshrine has long housed the Claws of Veeshan dragons behind its massive walls and arcane protections. Now, the unthinkable has happened — it has become besieged by powerful forces. Battle and befriend dragons and their wurmkin in the forbidden city of Dracur. Explore the past to unravel mysterious events that transformed the formidable draconic city into a battlefield full of daunting challenges, fearful foes and unimaginable treasures! As to PvP changes, at one time these were tenatively planned for GU63. Unfortunately the scope of GU63 meant that PvP changes would not be feasible to include, because GU63 has so much in it already. I don’t want to go ahead and promise they’ll be in GU64 (because it’s too early for that), but this is a matter I will continue to discuss with the Development team. I’ll continue to note feedback we recieve and bring issues up on a regular basis. Important: We will perform maintenance that will affect the Nagafen server beginning at 4:00 AM Pacific* on Thursday, April 5, 2012. We expect this maintenance to last approximately 6 hours. While I can’t really address everything being said in this post right now I can say we have been taking a look and we have a plan on how to make mercs not quite as overpowered in PVP combat as they are currently. Once we get the fix in place and we can accurately test it I can lay out the plan for you guys. If you die to a merc you should not take damage to your gear. This will be addressed asap and we should be getting some power tweaks for them out to you as we can. Fixed a bug where you would have to recast buffs on group members every time you zone. Fixed random lighting bugs on characters and environments. Players will now receive achievement credit for earning hall of fame status if they are offline when awards are processed. Sense of Urgency: Debone Bonewing should correctly update when defeating the zone boss in under 30 minutes from zone in. Dungeon Maker creatures will no longer temporarily reappear when defeated while under the effect of a tier-adjusting object. Dungeon Maker adventurers should now show up in the Marketplace preview tab. Fixed an issue that allowed “a drakonine guardian” to be tameable. Vox will be going down on December 18, 2011 at 11:59 PM PST. Nagafen will go down on December 19, 2011 at 5:00 AM PST. The Bazaar and Freeport merge is scheduled for December 21, 2011 but we do not yet have an exact time for this. The server merges will take approximately 24 hours to complete once they have started. We will of course update you as we get any more information and updates. **Please note: the times *may* change, I will update you when we have more information! As Olihin stated on the AoD launch webcast, I will be taking over the development of PVP in EQ2. Now that the dust of AoD’s launch has (mostly) settled, we can start working on what’s next for EQ2 PVP. The ultimate goal here is to give all PVPers a sick update with GU63. I’ve read through most of your feedback on these forums (including this thread, all 25 pages of it ) and we plan to act on it. We’re in the plan iteration phase now, and I hope to start implimentation of the plan later this week or early next week. So, what’s the plan? Details change, certain ideas may be altered, improved upon, or scrapped entirely. We’re not ready to discuss details just yet. Changes and improvements are coming. Your feedback is appreciated, and your patience will be rewarded. This is a reminder that if you are a player on The Bazaar or Vox servers, you will need to remove all of your items from the Live Gamer holding area. Items not claimed before December 13, 2011 will not be eligible to be reimbursed or restored. Additionally, server merges will begin around December 15, 2011. For more information, please check out our FAQ post: http://forums.station.sony.com/eq2/…topic_id=509057. Fixed an issue with queuing for a battleground as a group. Thank you for all the feedback you guys have been giving. I&#39;m sorry I haven’t come back and posted a response before now. I’ve been skimming the feedback and talking it over with other members of the team. The purpose of this post was to get a general feeling from you guys on what we need to look at and address in the future. We’re deep into our expansion cycle right now so it’s too early to give dates about when we can make additional changes, but I wanted to start the discussion as early as possible. Continue to discuss these issues and know that we are reading your feedback. As soon as we have more info to post we will let you know. Thanks again for the feedback and thank you for your patience. What are your current concerns with the state of PvP in EQ2? Feel free to prioritize them in a list such as the one above. Rothgar‘s thread has also served as a great literacy test. Most players have responded with novel-length feedback. We hope to roll out solutions for the [Battlegrounds] matchmaking at the same time as the Dungeon Finder roll out next week (which also uses the matchmaker). If the fixes don’t go in then, they will roll out (very) shortly thereafter! Hot off the presses, er patcher, here are the Game Update 61: The War of Zek Update Notes from the Test Patcher. Game Update 61 is expected to reach the Live servers near the end of August. The time is near for the great Fortress of Drunder to reveal its true purpose to all. The very bedrock of the Eastern Wastes shudders and rocks as a massive planar portal rips itself open within the fortress walls. The sounds of war echo through its halls as the God of War himself prepares his innumerable armies to march across the frozen face of Velious and seize control of the lands of Norrath for all eternity. The Plane of War is a normal and challenge mode raid. Elements of War is a normal and challenge mode heroic experience. 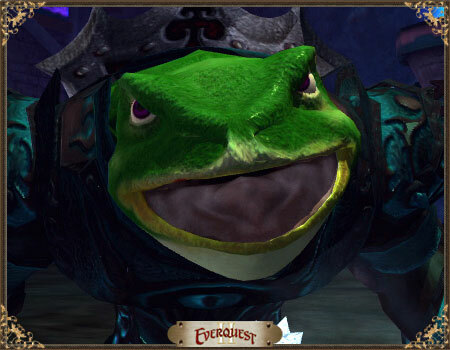 Here’s our sixth video from SOE Fan Faire 2011 “EverQuest II: Mechanics”. If you’d like to view the transcript from this panel, check out our EQ2 Panel #5 – Mechanics writeup. We’ll upload an HD version of this video soon. Today’s July 27, 2011 update notes address issues with the Spires and Dragon Ring Events on those servers where the events are still running. This update does not yet include a fix for servers that have already completed the events and those affected players who were present but didn’t get credit due to crashes, not having the right quest, or their mob despawning. Today brings a substantial update with lots of fixes, tweaks, as well as the much-lauded introduction of Leaper and Glider mounts to EQ2 at levels 30 and 60. In a perplexing move, Ground, Leaper, and Glider mounts will all travel on the ground at speeds of up to 150%, making them as fast as any of the current Flying mounts, only lacking the differentiating ability of flight. All servers will come down for an update at 7am PDT (3pm BST / 4pm CET) on Friday, June 24, 2011. U.S. servers are expected to be down for one hour. International servers should expect a two hour downtime. UPDATE: You can read more about this issue in a thread started by Silius EQ2 Forums. We have found the problem and will be hotfixing it as soon as we can. There is an issue on PVP servers causing NPCs to get 0 crit bonus benefit resulting in an unintended reduction in challenge. As a result of this discovery we will be permakilling all current content raid mobs on the PVP servers until the fix is patched to live. We currently plan on pushing this fix live tomorrow along with some balance adjustments for the all servers. Once again we are sorry for the inconvenience.